This help is for the old designer version. 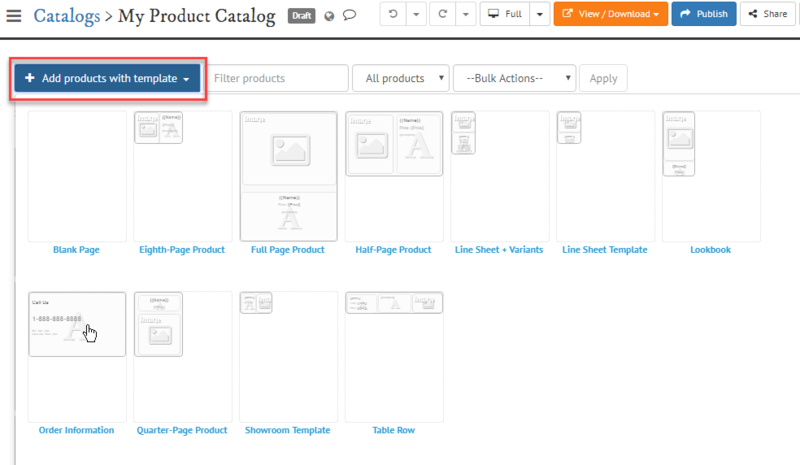 Read how to use New Catalog Builder. Quick Catalog Builder is a Catalog Designer mode for fast catalog updates. It focuses on manipulation with products and linked templates. Learn how to add products to the catalog. 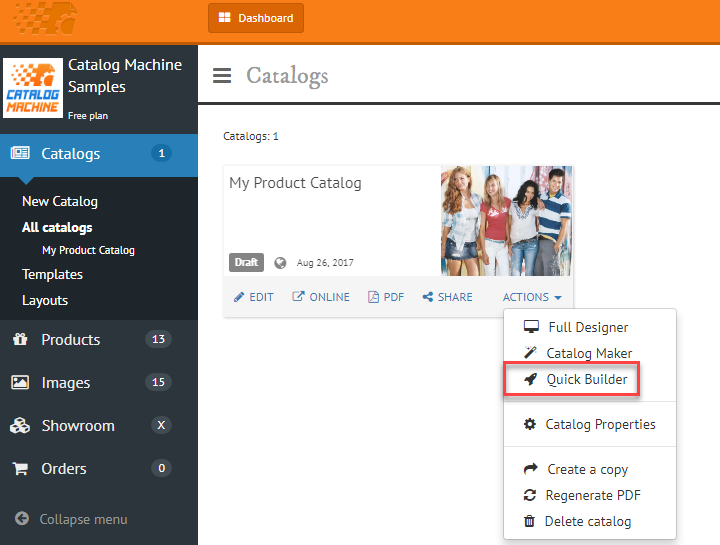 To use Quick Catalog Builder follow the steps below. And add products to your catalog with a selected template. You can choose to add a collection that can be managed separately. The left panel displays your products + page list (pages are displayed if their elements are not added as products with template). 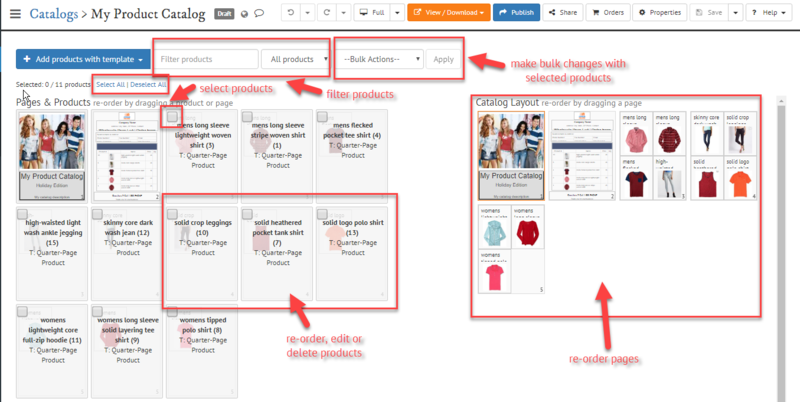 The right panel displays a final catalog layout automatically built based on any changes in the left product + page list. 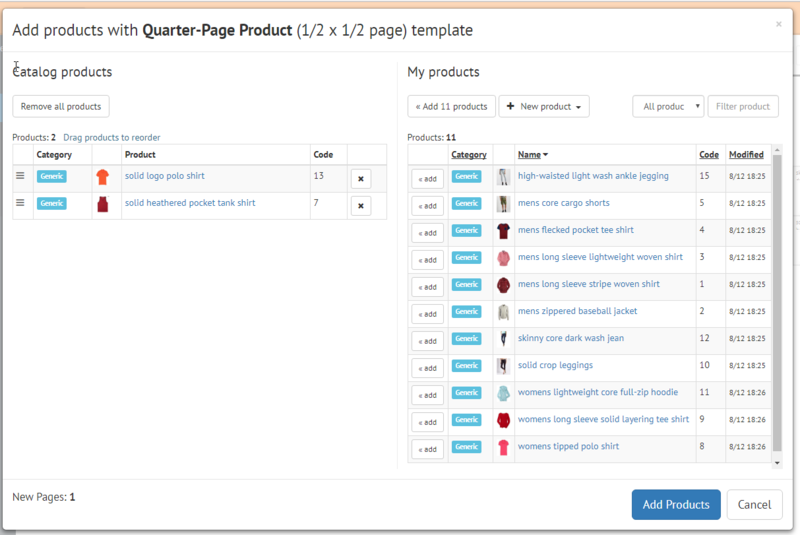 Note: Quick Builder can only recognize product elements that are added from the Add Products with template pop-up. Other elements can be reordered or removed in this mode only as a part of the whole page.